If you asked people what their favourite dessert is, I bet a lot of people would say apple pie. Whether you choose to eat it on a cold winter night, or serve it up at a BBQ on a hot summer day, I have a healthy apple pie version for you. Apple pie is total comfort food. You wouldn’t expect that with it being fruit and all, but it must have something to do with the sugar and pastry. For some people it could spark fear, but for me, I know that I can still enjoy apple pie and not gain weight. For one, it is all about balance and secondly, I have a healthier apple pie recipe and it is only 131 calories a slice! This literally just came out of the oven and we couldn’t resist having a tiny slice (before dinner). I have to admit, but Mum is the apple pie queen in our family, but this one does come pretty close, even if I do say so myself. Add some homemade frozen yoghurt and you have yourself an apple pie party! Can you imagine? An apple pie party? That’s my next birthday idea sorted. You may have noticed now that in pretty much all my baking, I use dates in replace of sugar. This means that it is naturally sweetened with fruit. In case you don’t usually like dates, you really can’t taste them at all – it just adds sweetness to it. Although it is not super low in calories, that is because dates are quite high in calories, I really like the taste of the dates and the added fibre too. 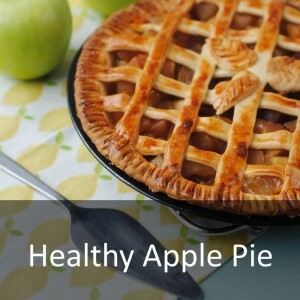 This isn’t something you are going to be eating every day, but it is a healthier option considering the average slice of apple pie has 450 calories in it. This recipe is low in fat though, as there is less butter because I have replaced some of it with Greek yoghurt, which also adds some extra protein to it. I am still struggling with my appetite and fruit has mostly been off the menu for me, but it turns out that if you add some extra sweetness and put it in a pie then it makes it much more palatable. Who knew?! Maybe apple pie is a good way to get kids to eat more fruit? 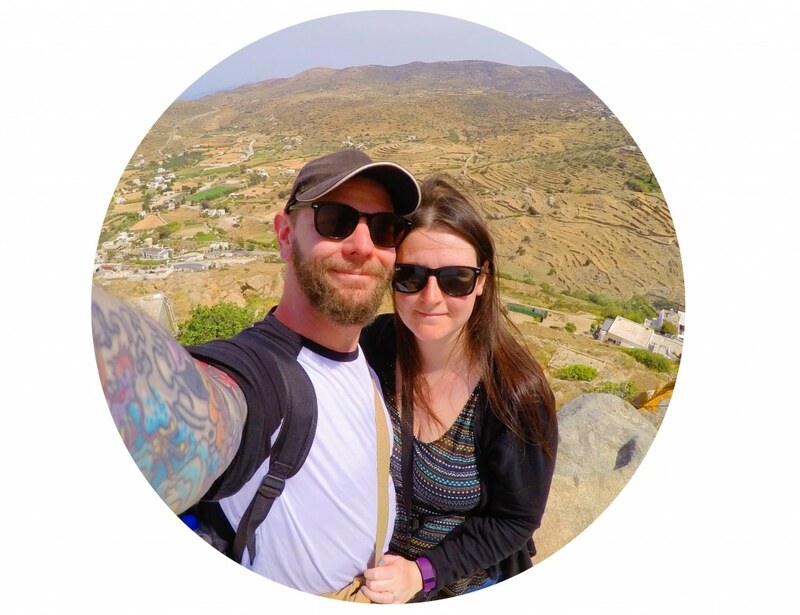 Because of not being very well the past few weeks, I haven’t been leaving the house much and whilst Dave has been amazing, the last thing he wants to do after a long day at work is go food shopping, so we have been ordering all our shopping online from Tesco and it has helped a huge amount. We are getting a lot of stuff delivered, so we are taking advantage of Tesco’s new Delivery Saver Programme. This is a subscription delivery service, where for a small monthly charge you can have all of your shopping delivered for free, this is across their whole range, so you won’t have to pay different delivery charges depending on whether you have ordered groceries, clothing from F&F, wine by the case or goods from Tesco Direct. If you order a lot of different things online, this could save you a lot of money on delivery charges. They are currently offering a 1 month free trial too, so sign up and see if it is for you! As always, ordering from Tesco was really quick and easy and the deliveries turned up on time and the driver was really friendly. We ordered lots of fruit from the grocery department and I have some other great new recipes coming soon that make use of the fruit haul we ordered. Whether you choose to eat it on a cold winter night, or serve it up at a BBQ on a hot summer day, I have a healthy apple pie version for you. Put the flour and salt in a bowl. Cut the butter into cubes and add to the flour and mix with your fingers until it becomes a breadcrumb consistency. Put the water and dates in a food processor and blend. Add the yoghurt, egg and date syrup and mix with a fork. Mix with your hands and put on the flour dusted surface and knead for a few minutes. If this is still fairly sticky, add some more flour. Divide the dough into two and roll one piece into 10inches/25cm in diameter (I used 10 inch/25cm diameter dish for my pie). Grease your pie dish with a little butter and lay the rolled out dough inside it. Roll out the other bit of dough and cut into 8 strips to use on top of the pie. Next you need to make your apple pie filling. Peel and chop your apples and put in a bowl with the sweetener and the spices. Mix well. Add apples to the pie dish and place the strips over the top of the filling. Brush with an egg wash (egg and milk). Place in a preheated oven at 200°C/390°F for 40 minutes. What is your favourite thing to serve with apple pie? Ice cream? Custard? Leave a comment below. Looks tasty. I am looking for fruit based desserts to try with the Miracle berry as the sweetening effect means a reduced amount of sweetening agent can be used. The acidity of the apples will be turned to sweetness so you may be able to not use any sweetener at all. Usually I replace sugar with agave syrup but a squirt of lemon juice would suffice. Take care, all the best, Adam. Great recipe. I added Ndali vanilla powder in for an additional flavour. It tasted great. I love apple pie, this one looks delicious and, no guilt eating it! This pie is so pretty! I love apples and I love dessert, so naturally I’m an apple pie fan. Pairing it with a scoop of vanilla bean fro yo is my favorite way to eat it! Ooooh, that sounds good. I love fro yo! The dates add a lovely texture to the pastry too. Your pie looks perfect! I love the real food twists too. I’m sorry you’ve not been too well over the last couple of weeks Dannii. But this apple pie looks absolutely stunning and I’m sure it’s just what the doctor ordered! Apple pie makes everything better! I do like custard! But ice cream in the warmer months. Here in America apple pie is definitely HUGE and a favorite, especially at summer bbqs, I love what you’ve done with the recipe in making it healthier! I am so excited for BBQ weather. I hope you feel better soon Dannii! This pie looks scrumptious! I so agree that apple pie is such great comfort food! And yay for dates! Sorry you’ve not been well, Dannii… but at least you’ve had this apple pie to cheer you up and help get your appetite back! I really like the texture that the Greek yoghurt gives the pastry. Seriously one of the best apple pies I’ve ever had! So tasty! I always order from Tesco so I shall definitely by using that month free trial. Thanks. And the pie looks delish! I am glad that the free trial will come in handy for you. Apple pie is such a comfort dessert I love that you’ve healthied it up! This will be our Sunday dessert this week! this pie is BEAUTIFUL! and love the Greek yoghurt in the pie crust! I have to try this! This looks gorgeous Dannii! I love apple based desserts, especially apple pie – I’m a sucker for anything wrapped in pastry! Great to know that it can be lightened up! It’s just so comforting, isn’t it.